Lys Lander is a beautiful development of 45 one-and-two bedroom retirement living apartments, set in the city of Truro, Cornwall. McCarthy & Stone – the largest developer of privately owned retirement property in the UK – decided to move towards alternative eco-building techniques on a trial project in Truro. This lead to considering a project that would meet the strict ‘Passivhaus’ standards. The project is an ICF (insulated concrete formwork) build teamed with a render and stone cladding finish. Modern construction techniques were used to depict a traditional structure from the exterior. After much searching for a stone product that would be able to provide them with the beautiful and traditional style details they required – but would also eliminate the issue of cold bridging – they found our StonePlus range of profiles. After a bespoke design was created to meet their requirements, McCarthy & Stone decided to also use StonePlus for window headers, cills, stringers and quoins on this unique ICF build. The project was deemed a massive success by McCarthy & Stone. 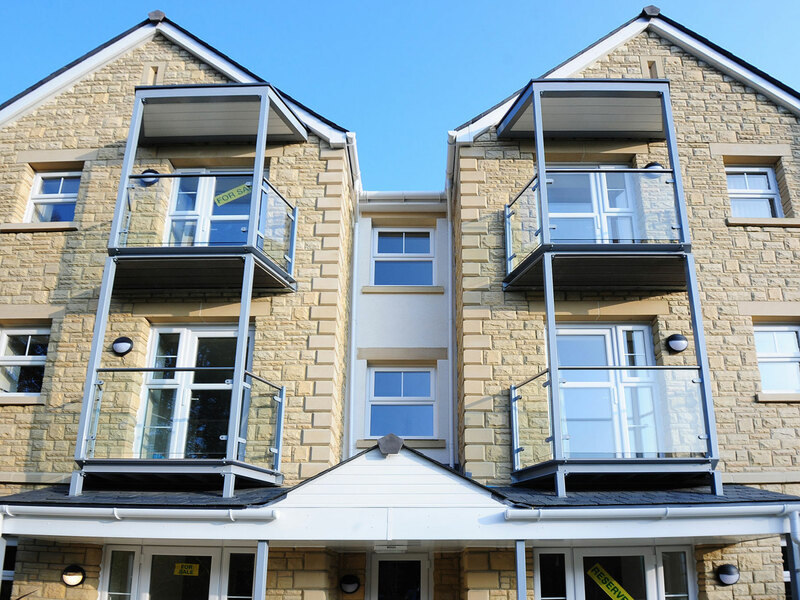 The ICF project requires no central heating system and is a true beacon and example of what can be accomplished using a modern building technology, comleted with the modern alternative to traditional stone – StonePlus!